This is a rectangular flange Penn Stoves, Ranges, and Furnaces porcelain sign. This particular Penn Stoves, Ranges, and Furnaces sign is red with white text. 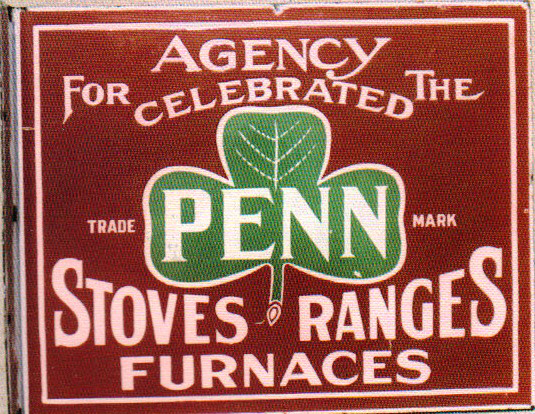 It reads, “Agency Celebrated For The Penn Stoves, Ranges, Furnaces” and features a green three-leaf clover in the center.